In the past 50 years the number of people in the United States who smoke cigarettes has dropped a dramatic 23 percent. However, the risks of tobacco use have not changed. 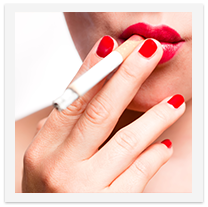 Tobacco is not only dangerous to your heart and lungs, it can also affect your oral health.